When Android 5.0 Lollipop was officially announced early this month, Google has not revealed its actual date of availability to public. 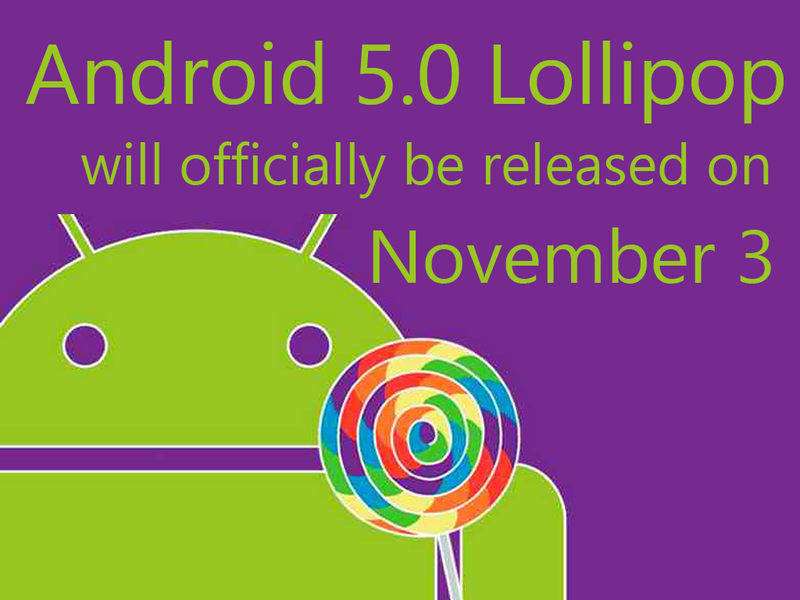 According to reports, Google has now confirmed that they will make the Android 5.0 Lollipop available to public on November 3, 2014. The company recommends to developers "that you test your apps and publish any needed updates to the Play Store”. Google wants to make sure first that a lot of apps will be compatible with the OS when it is officially released. As expected, the Nexus devices will be the first in line to receive the Android 5.0 Lollipop update. These devices are as follows: Nexus 4, Nexus 4, Nexus 7 and Nexus 10. After this set, we should also expect the update to arrive next on Google Play Edition devices. Motorola, Sony and HTC have also promised to bring the update soon to their devices. I know a lot of Android users are now getting more excited for the Android 5.0 Lollipop update. How about you? Comment your thoughts below.